Silver Sands & Hawkcraig Point is a beach park and coastal headland situated in the village of Aberdour. Silver Sands beach is one of the busiest beaches in Fife and can be packed on a warm summers day. Between 27th May and the 3rd September Royal National Lifeboat Institution are paid to provide lifeguards for the beach. Scotland’s Beach Awards have been awarded to the beach. A café is open every day between 10am and 5pm. Situated in the same building are public toilets. There is a public play area in the park. During the summer there is a, pay to use, bouncy castle and pitch and putt. Car parking is free for the majority of the year but on warm summers days there is a charge. 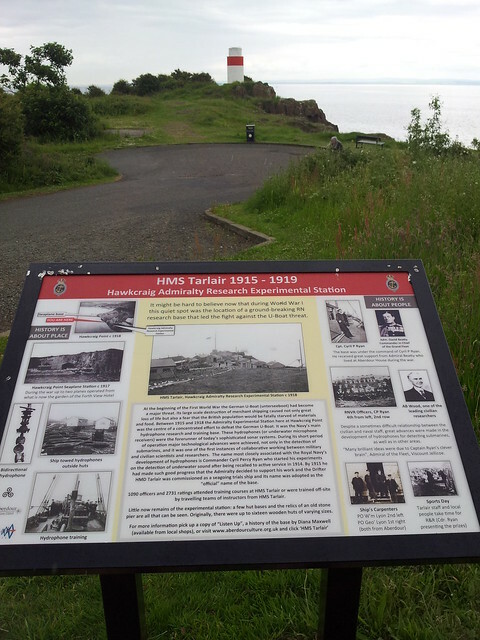 Hawkcraig Point was an experimental sonar station in World War One. Aberdour Train Station is approximately 10 minutes walk from the beach. There are bus stops on Hawkcraig Road and Aberdour Main Street. Traveline provides a journey planner for public transport. Fife Council own and maintain the greenspaces around the site. A concession has been given from Fife Council to a local business to run the café.